Putting the customer first doesn’t mean what you think. The Challenge: Companies that focus on serving distributors risk jeopardizing customer service. The Plan: Assess what customers truly value—and take action, even if that means completely revamping supply chain processes. The Execution: Cut out middlemen that add no value; deliver value directly to customers. The Result: A complete business model reinvention that provides customers what they want, how they want it—and releases businesses from the obligation of pleasing distributors. Shoppers gripe that products are overpriced. Distributors munch away at profits. And companies are beholden to their MBA-approved understanding of how to deliver products to customers—ultimately siphoning value from the bottom line and their products’ end users. It is standard operating procedure for many organizations. Companies from Caterpillar to Bic to Estée Lauder rely on their distribution chain to buy their products and bring them to market. In turn, stores like Wal-Mart and Neiman Marcus mark up their costs to make margins as distributors and supply chain managers. Yet among innovative companies, there is a palpable movement underway to build their business models around delivering products and services that customers value, via methods that appeal to the end users of their products. These companies do not rely on distributors to be the stewards of bringing their products to market. Instead, they are creating essential and direct interaction with customers. 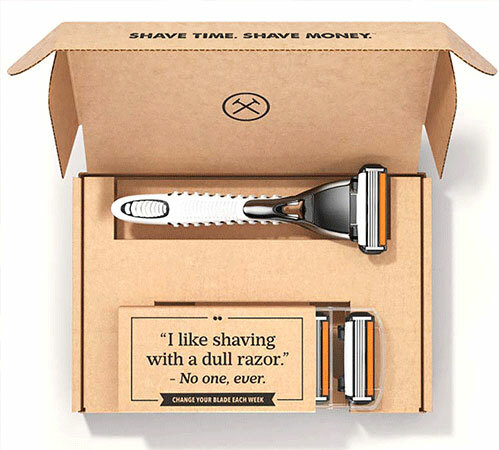 Upstarts like Harry’s and Dollar Shave Club are not only changing how customers buy razor blades, they are also changing how they manufacture and bring products to market. Established in 2013, Harry’s sells blades, razors and shaving cream directly to customers via an online subscription service for a fraction of what customers would pay in store. Interestingly, the company raised $122.5 million from investors in 2014 and then spent $100 million to buy a 90-year-old factory in Germany that manufactures premium blades. The company now controls every element of its business. It built its business model this way not for the sake of being inventive, but because it understood what its customers value most: time, money and a quality shave. Dollar Shave Club’s direct-to-customer model also sparked investors’ interest, raising $75 million in 2015. The message is clear: Instead of serving their customers, companies primarily focused on their distributors’ interests are serving their middlemen—who will end up controlling the business. The point here is not to be naive or stupid about the relationship with the companies in the distribution chain. The point is that companies exist to deliver value to those who use their products or services and that the distribution chain, like the supply chain, exists to serve that purpose. 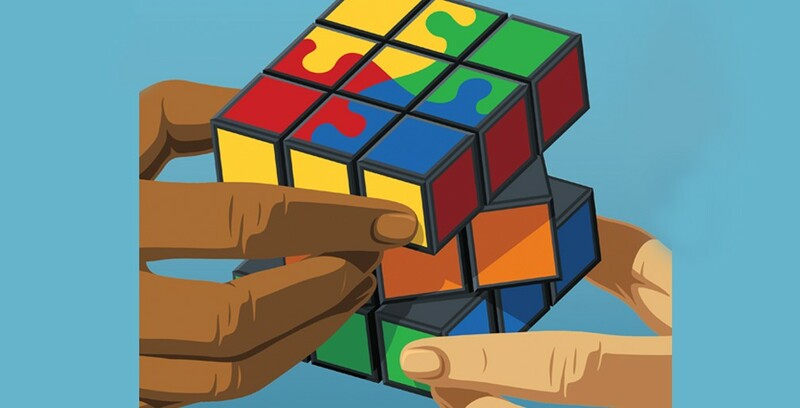 One way to cut this Gordian knot of a relationship is a complete business model reinvention. Reinvention does not begin with the question of how to make more money. Click To Tweet The crucial question is, “What does my customer truly value, and how does my customer want to receive that value?” The customer on which this question is focused is the customer who buys and uses your product or service. The message is clear: Instead of serving their customers, companies primarily focused on their distributors’ interests are serving their middlemen — who will end up controlling the business. The norm in the contact lens business was for manufacturers to treat opticians, optometrists and ophthalmologists as the customer. These professionals were the arbiter of which brand and type of contact lens were prescribed. Looking for competitive advantage, Johnson & Johnson’s Vistakon (the parent company of Acuvue) broke from the norm and started building relationships directly with people who needed to correct their vision. Through social media and advertising to consumers, a data base of customers was built. Appointment reminders, certificates for free trials and annual purchase incentives were sent directly to consumers. The relationship with eye care professionals was still valued and nurtured, but the relationship that J&J had with its ultimate customer actually created new value. One company asking all the right questions—and delivering on what its customers deem valuable—is U.S.-based Tesla Motors Inc. The automotive and energy-storage company continues to make headlines for both class-leading electric vehicles and its company’s business model. With nearly $3.2 billion in revenue for 2014, Tesla’s growth has been in the fast lane since it was founded in 2003. In Q3 2012, sales of the company’s flagship model—the Model S—were 250 units. By Q2 2015, that number had grown to 11,532. It’s impressive for a model that boasts a suggested retail price of $105,000 when fully loaded and is marketed in a highly competitive segment against brands like Daimler AG (Mercedes-Benz), BMW and Volkswagen Group (Audi). But dismissing the sales volume as due to the car’s curiosity factor would be a mistake. In 2013, Tesla’s Model S not only received the highest owner satisfaction score in Consumer Reports’ annual survey—it earned one of the highest scores ever awarded: 99 out of 100. Tesla knows what its buyers value: an uncompromised product. Second, instead of offering its vehicles through a network of independently franchised dealerships, Tesla employs a direct sales model. Customers visit “stores,” not showrooms, in shopping malls and kiosks across the United States, Europe and Asia—owned and operated by Tesla employees, not independent dealers. This not only allows the company to control all aspects of the customer buying experience, it ensures Tesla can speed product development based on firsthand customer feedback. Third, Tesla’s dedication to transparency has cultivated brand loyalty and a sterling reputation for customer support, even when things go south. 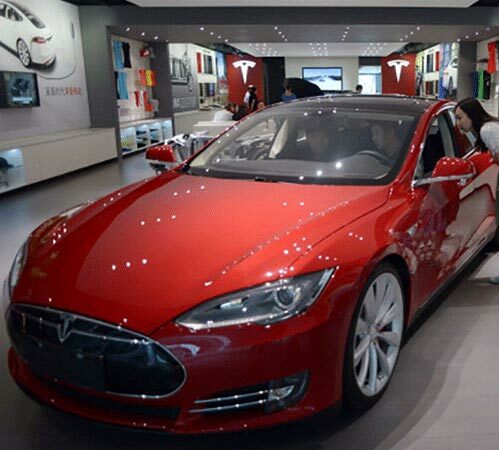 In 2013, a fire involving a Model S raised questions about the car’s safety. CEO Elon Musk immediately took to social media and (with consent of the driver of the torched car) published his email correspondence with the vehicle’s owner to provide the public with a better understanding of the incident. Not only was Musk applauded for his swift and public response by the media, but his ability to instill consumer confidence boosted Model S sales 40 percent in Q2 2015 over 2013 levels. Tesla has pinpointed what its customers value—the bottom line proves it. An uncompromised product, a unique shopping experience, transparency, and swift and competent customer service all add up to the brand’s stellar reputation and sales. And Tesla’s strategy is possible because the company truly understands its customer—the first step in business model reinvention. Compiling the data needed to make this connection with customers takes more legwork than many companies are accustomed to. Typically, consumer information is culled from standard marketing surveys and focus group research. But these methods are part of the old model that delivers few new insights. To dive fully into the customer’s world and effectively respond to those findings, companies must suspend assumptions about customers and listen freshly. Furthermore, it requires a genuine curiosity about customers to deliver what they deem most valuable. Since 1970, Adidas has designed a new official soccer ball for each World Cup. In 2010, the company did not deliver the quality product players expected, and many of the game’s highest-profile stars publicly condemned that year’s official game ball—describing it as “dreadful” and “a disaster” for being hard to control and unpredictable in the air. In preparation for the 2014 tournament, Adidas spent more than two years listening, observing and interacting with more than 600 of the world’s top players from 30 teams in 10 countries. The company even enlisted NASA’s Ames Research Center to help inform the ball’s airflow dynamics. After all was said and done, the company unveiled the Brazuca—a six-panel ball (as opposed to the eight-panel one used for the 2010 games) featuring a more robust surface and deeper seams that allowed for greater stability in flight, giving players a higher level of control and precision. Players, including England’s Wayne Rooney—one of the game’s biggest names and most outspoken critics of the 2010 ball—celebrated Adidas for its efforts. In interviews, Rooney expressed his delight with the Brazuca’s level of refinement and overall improvements. Adidas had dedicated an enormous commitment to not only re-examining 40 years of assumptions made about its customers—professional soccer players—but also the time, energy and resources to bring customer-driven improvements to its product. Like Tesla, the company focused intensely on understanding its customers. It went directly to the buyers of its products, spent time with them, learned from them and built valuable relationships. Ultimately, a reinvented business model only succeeds by not thinking about business models at all: It is about putting the real customers—the consumers and end users—first, and delivering value on their terms. Once companies understand what their customers value, the conversation begins around how to deliver that value more effectively and more efficiently. The conversation will also help companies identify what customers are willing to pay for a product. And make no mistake: People will pay for what they value. The co-founder of Insigniam shares his own experience in weighing the advantages and disadvantages of a direct-to-consumer model. When considering whether to reinvent your company’s business model, there is a litmus test that must be self-administered: How much would reinvention cost? And the potential cost is not always financial. In the 1980s, I invested in and ran a company that designed and manufactured life-saving underwater breathing systems. Our primary product — imagine an air tank the size of a soda bottle with a small regulator situated on top of it — was designed to get a diver up safely from a depth of 100 feet. It was a great product, but sales were anemic. Our distribution chain consisted primarily of dive shops that were doing a rotten job of introducing this new concept and product to the scuba divers. The company’s founder, who had invented the product and was our head of operations, asked, “Should we sell our product directly to divers?” even though many of the dive shop owners threatened to stop selling the product if we went direct. We spoke to divers on beaches and at lakes. We learned quickly that they loved the idea of our product and that we would sell many more units and make much more money going direct to divers. However, we also realized that customers needed instruction and some technical advice to use the product correctly and that a failure to effectively communicate our message could put divers at risk. We needed someone who knew the physics of diving and the mechanics of breathing devices — like the dealers who could provide sales support — to serve our customers. In those early days, we decided not to sell directly to the end user and continued to rely on our distributors to bring the product to market. Were we leaving money on the table because the dealer cut into the profit? Yes. But it was the right thing to do for our customers at the time. Years later, when the product had been improved and was more widely used and understood, the company began selling directly to divers at suggested retail price. Not only did direct sales grow, but sales growth to dealers actually accelerated. Despite how it may seem, this is not truly in conflict with what is at the heart of the discussion: doing what is right for the ultimate customer — which may or may not mean selling to the customer directly — and structuring your business to deliver on that promise. Going direct is merely a by-product of addressing that need if it makes the most sense for how your customers define value. For our diving customers in those early days, the cost was simply too high. We and they valued their lives more than anything else, and we could have jeopardized them by not relying on the counsel that an educated and well-supported dealer could provide at the point of sale.